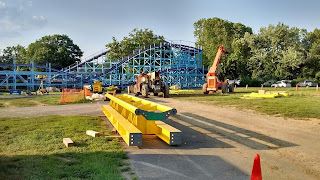 Today we visit the constantly improving Conneaut Lake Park. We had a pleasant visit. The waterpark is in full operation, something that did not look like it would happen just a few years ago. Everything looks fresh and inviting. The natural draw to the park is still Blue Streak, and it is running even better this year. 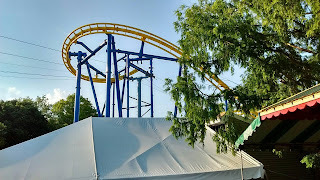 Each ride on this coaster is vastly different, but the return run has offered some consistent airtime, with one particular ride having backseat ejector airtime on every hill. Last year saw the return of airtime to the return run to the station, but this year it was really kicking. The front seat even offered some nice moments of floater air. Overall, it is running faster and more smoothly than it has in recent memory. 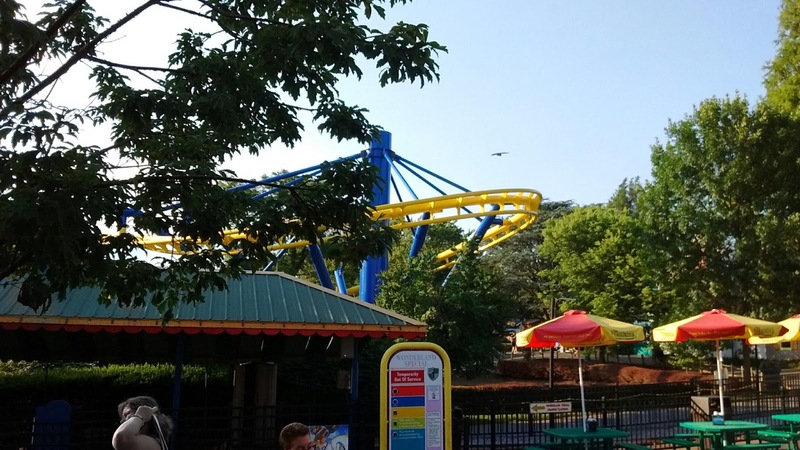 It seems that the constant attention given to the ride by Lenny Adams is really breaking in and getting this coaster really flying. Down to the lakefront on Conneaut Lake, PA's largest natural lake. Now back for some more Blue Streak action! 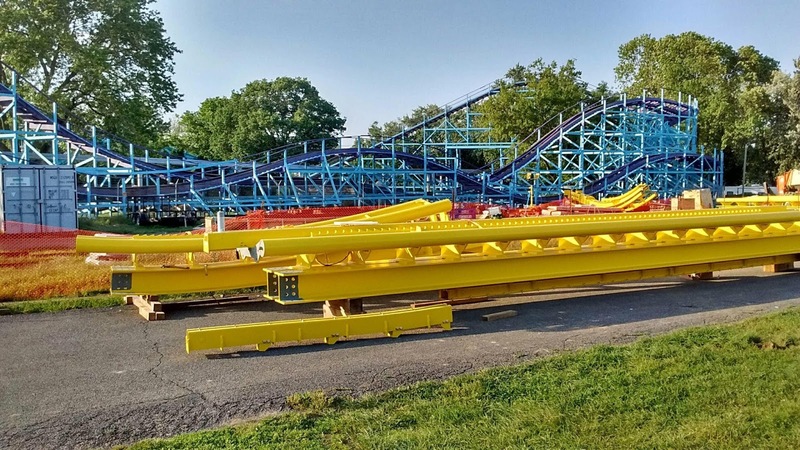 The slides really look great with their new paint scheme. Got a few laps in on the flyers. And what trip to Conneaut Lake would not be complete without a stop to feed the fish at the nearby Pymatuning Spillway? 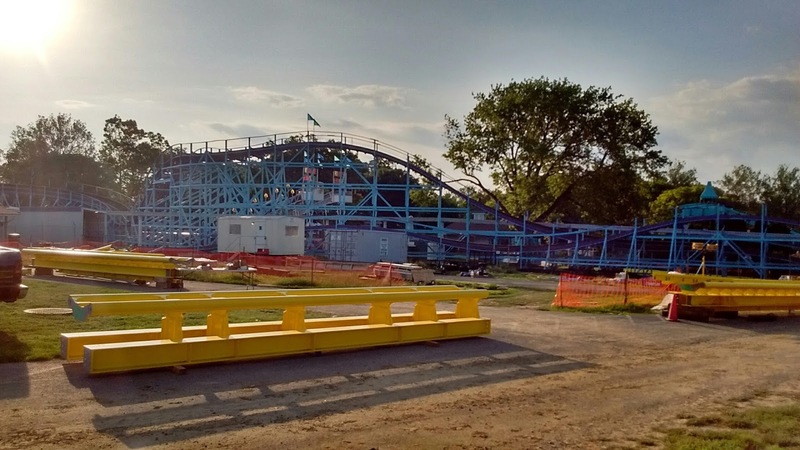 We had a great time visiting Conneuat Lake Park and we highly recommend spending some time and checking out this laid back amusement park. It is great to get some quality time at an amusement park without having to spend a ton of money. You can ride all day at the park for only ten dollars a person. 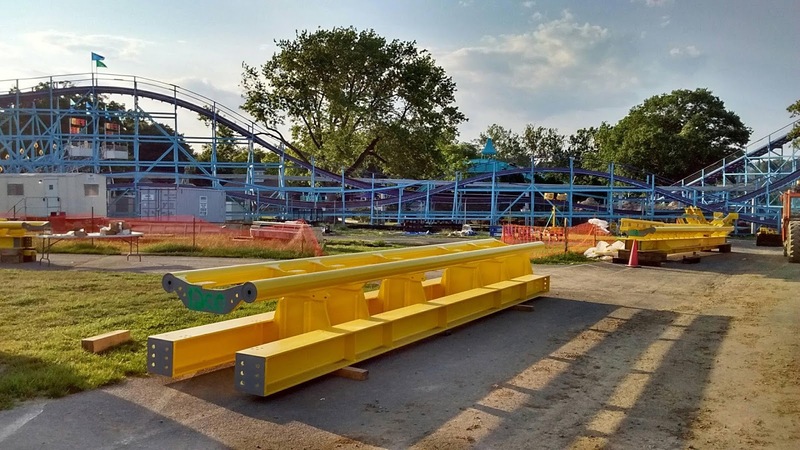 Today we take a look at the construction progress on Dutch Wonderland's Merlin's Mayhem. This is an intriguing project that looks like it should be a real hit with families. As we mentioned in a previous update, the coaster looks almost like the evolution of old Arrow Dynamics suspended coasters. I have always appreciated the concept of family inverts and am surprised that more have not been built. Track in the staging area next to the Kingdom Coaster, a terrific family coaster in its own right. I can't wait to see what the coaster will look like when everything is done!